You think your work is hard?!? Even the retail sales clerk and the sheep-shearer in here have an easier time than the obsoleted hangman and the elderly madame with no clients. 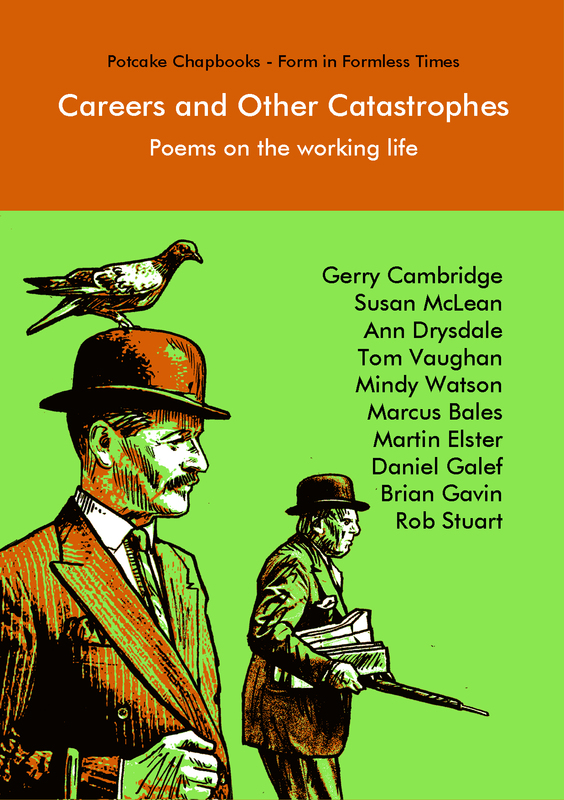 Succinct and witty portraits of the working life by ten of today’s best formal poets, to make you grateful you’re not in those shoes. The “Potcake Chapbook” series is named for the dogs of the Bahamas and the Caribbean – strays that live off the burnt scrapings of cooking pots. The poems in the series are a mixed bunch – but the potcake of our logo wears a bow tie to show that he and all the poems are formal. These poems are memorable in part because they rhyme and scan, as all truly memorable poetry does. We subscribe to the use of form, no matter how formless the times in which we live. To read more about the poets featured in this chapbook visit the Potcake Poets page. Lovers! What’s not to love about them? 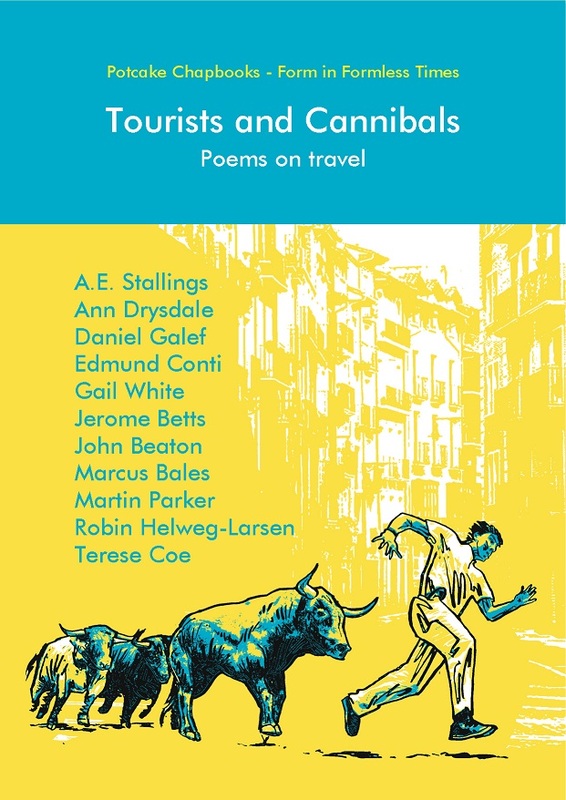 “Tourists and Cannibals” provides a dozen memorable poems on travel by some of the most skillful, witty and highly praised poets writing today. It gives a delight-hearted review of the varieties of travel experience, good and bad, that are available to us all, whether youths or seniors.